Paris (VNA) – The Vietnam Global Leaders Forum (VLGF) was held in Paris, France, on March 30-31 by the Association of Vietnamese Scientists and Experts (AVSE) and the State Committee for Overseas Vietnamese Affairs, gathering more than 200 delegates from 25 countries. Addressing the event, AVSE President Nguyen Duc Khuong said that over 4 million-strong Vietnamese community abroad is a great force for Vietnam to make breakthrough growth. The VLGF is expected to build a network of Vietnamese talents around the world for joint actions for a country with sustainable development and prosperity, he said. Nguyen Hoanh Nam, Vice Chairman of the State Committee for Overseas Vietnamese Affairs, said the Vietnamese community abroad has made great contributions to the country’s growth through many activities from investment consultations and connection to the implementation of projects in various areas. Assistant Professor Tran Ngoc Anh from the US-based Indiana University lauded the idea to set up a network of Vietnamese talents abroad. He held that Vietnam boasts great advantages for having experienced scientists working abroad who are willing to contribute to the motherland’s growth. 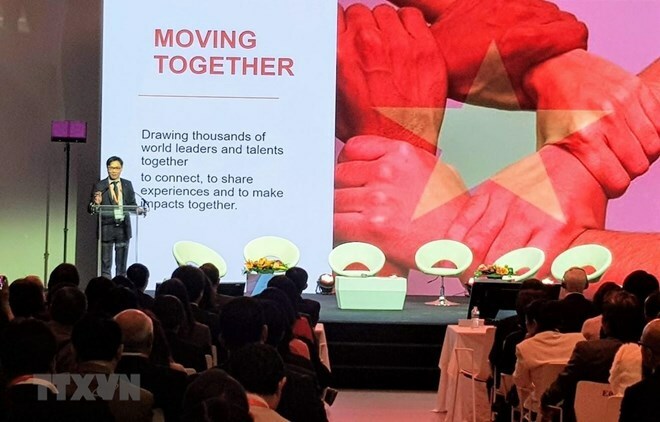 Meanwhile, Céline Zapolsky, Vice-President of Linagora and CEO of Linagora Vietnam, commented that Vietnamese people around the world are able to rapidly integrate into a new environment. She stressed the need to gather high-profile people for the shared purpose of building a prosperous country. As an overseas Vietnamese of third generation, Zapolsky said that she wishes to contribute to Vietnam’s development. Participants at the event sketched out a strategy for the development of national trademark, optimising the country’s potential and enhancing its position in the world arena. They agreed that national trademark, shown in culture and socio-economy aspects, is significant in attracting investment and promoting external relations, helping bringing about long-term benefit and prosperity for the country.